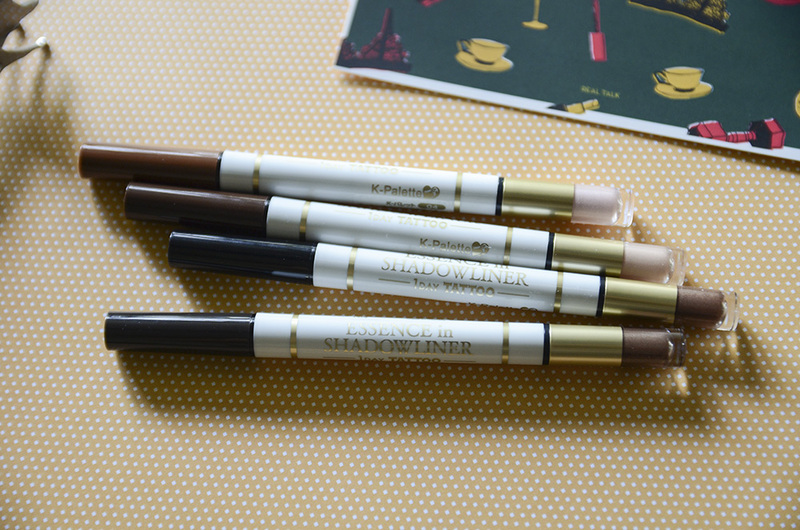 As you all know (if you’ve been reading my lil ol’ blog for a while), I’m a total slave for K-Palette eyebrow/eyeliner products. Imagine my glee when I received this package—an eyeshadow/eyeliner hybrid called the K-Palette Essence in ShadowLiner*—right before I left for a trip. It’s similar to the dual-ended eyebrow markers that K-Palette makes with a brush-tip on one end and a powder product on the other end. In this case, it’s eyeliner instead of brow marker opposite eyeshadow and a sponge-tip applicator coupled with a spring mechanism. 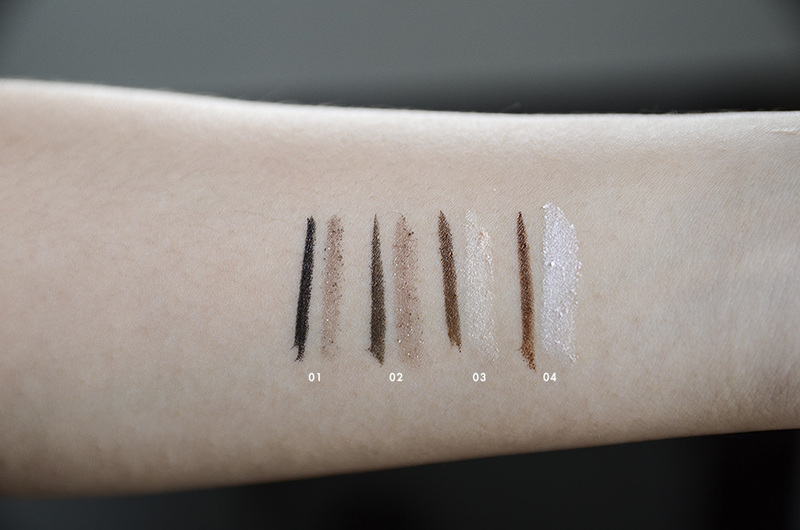 I received four colors: the eyeliner in black and varying depths of brown, and shimmery neutral eyeshadow shades. If you’re low maintenance, these are amazing products to bring on for trips. I brought 01 and 02 with me to Taiwan, but I’m a little picky with eye makeup, so I never really used just the pens. They’re useful little multi-taskers for those who aren’t as fussy as me, though. I’m also not a fan of how the shadow is dispensed, so take care when applying and watch out for fallout! 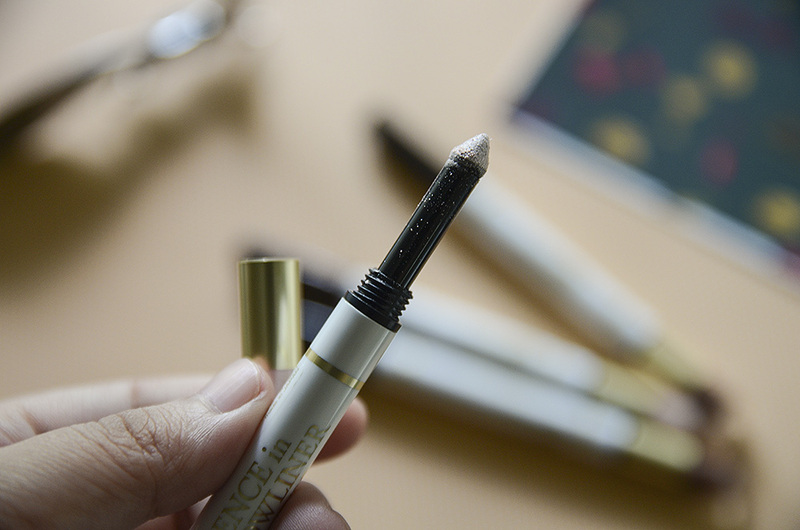 It’s ultra useful if you’re just starting out with makeup and you just need one go-to look. 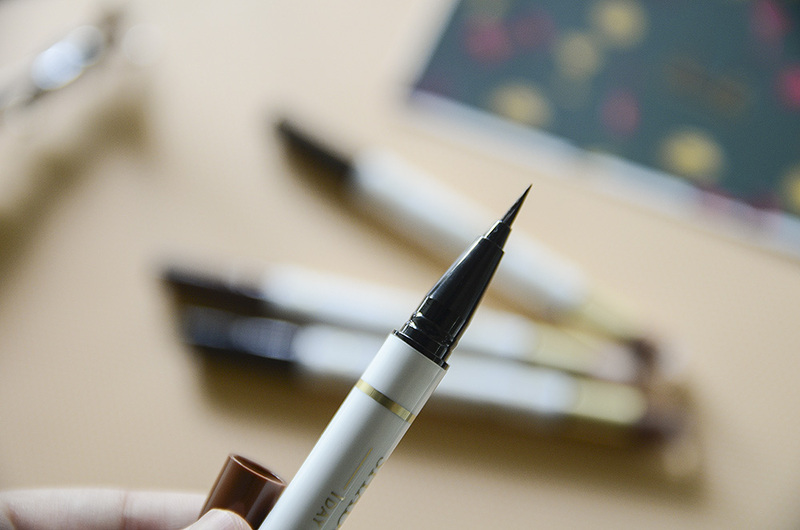 It doesn’t work in that way for me, but I do love the shades of liquid liner in my favorite formula. The K-Palette Essence in ShadowLiner retails for Php 950 each, exclusively available at Rustan’s (Shangri-la, Makati, Alabang Town Center), BeautyBar, and SM’s Beauty Section (Megamall, Mall of Asia, Makati, Aura). I like that it is a combo. I didn’the try the k-palette eyeliners yet. But they look so intrigueing. Not going to lie these look gorgeous… Desperately wish I could get hold of K-Palette products more easily than ordering online. Will definitely consider trying these out. Next PostGone Forever: ColourPop Fetch, Please!